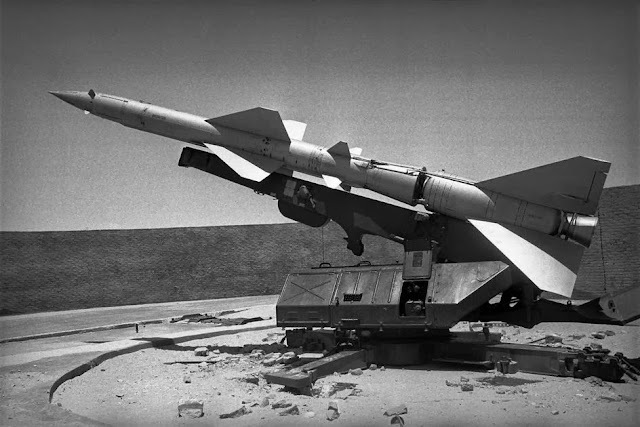 Ed Okun "Modeling Military History"
The S-75 Dvina (Russian: С-75; NATO reporting name SA-2 Guideline) is a Soviet-designed, high-altitude air defense system, built around a command guided surface-to-air missile. Since its first deployment in 1957 it has become the most widely deployed air defense system in history. 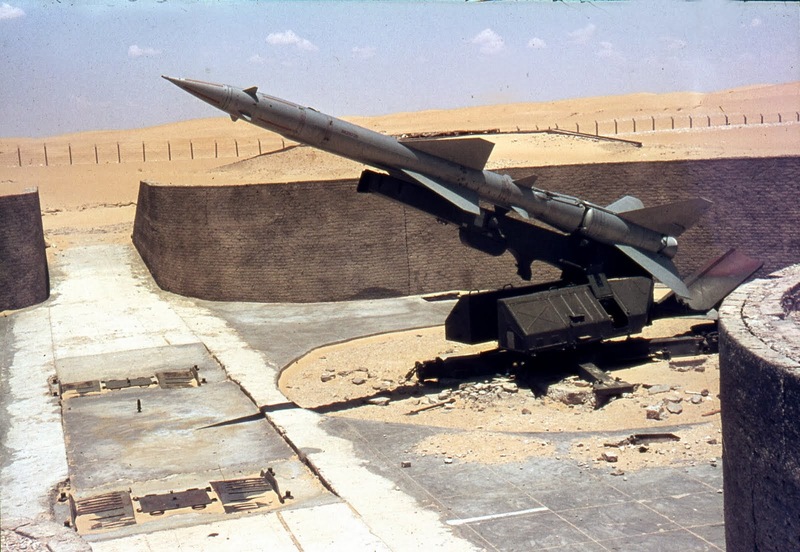 The missile system was used widely throughout the world, especially in the Middle East, where Egypt and Syria used them to defend against the Israeli Air Force, with the air defense network accounting for the majority of the downed Israeli aircraft. 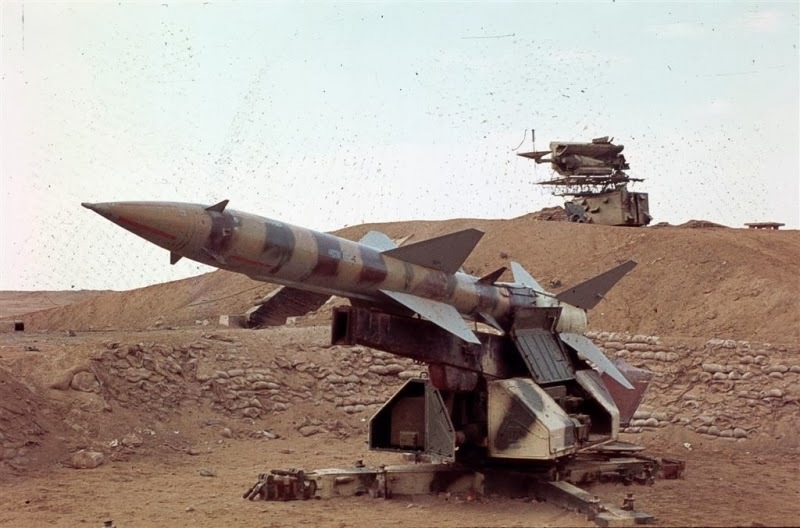 With Russian assistance the Egyptians established a robust air defense zone near the Suez canal which the Israeli Air Force made a concerted attempt to eliminate during the War of Attrition The Trumpeter SAM-2 Missile and Launcher are inexpensive, high quality miniatures of this iconic missile system. The build-up is easy and can be accomplished by anyone with relatively little modeling experience. The variety of camouflage schemes make this model missile a great addition to any military modelers collection. The first model displayed here replicates an S-75 on it's launcher as it would have appeared in the Six Day War. 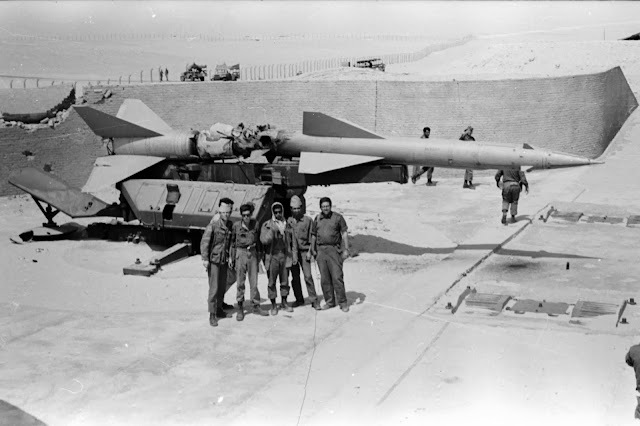 Photos below are of actual missiles in 1967. The video below is a demonstration of the missiles tracking capabilities. 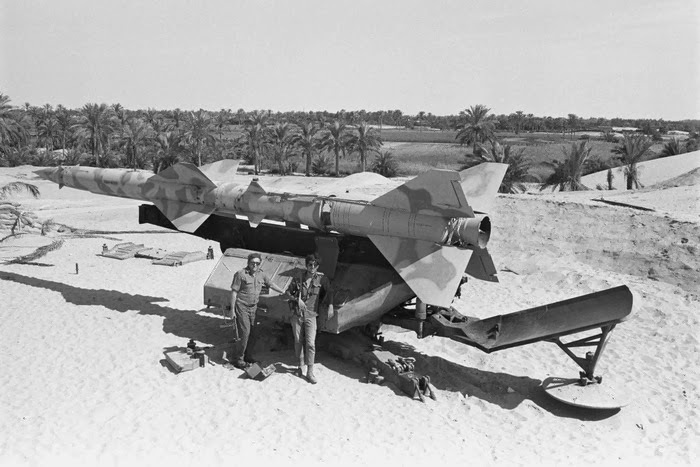 The next series of photos show Egyptian S-75 (SAM-2) missiles as they were again captured 6 years later by the Israeli army. I have painted another missile to replicate a typical paint pattern. The following photos show an actual Egyptian SAM-2 missile launcher in the Sinai desert. The warning placards are in Russian Cyrillic and English. You can see an actual English warning placard which I personally "liberated" while serving in the IDF in 1974. Egyptian Army badge for Air Defense Forces. 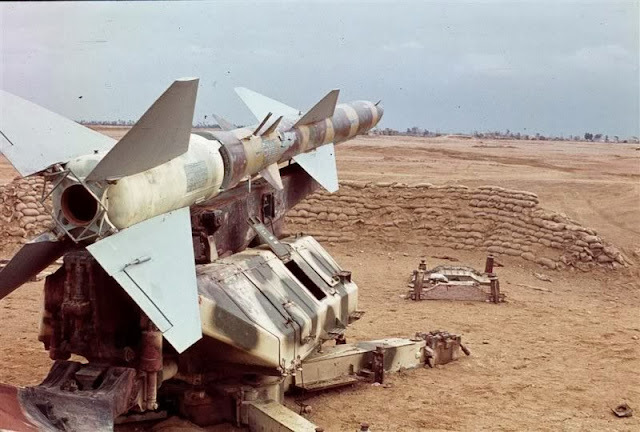 This last photo was taken by me during the Yom Kippur war. What the photo shows are (2) SAM-2 missiles chasing an F4 Phantom above Northern Israel. The missiles did not hit the Israeli jet as the pilot employed evasive tactics. Debris from these missiles showered down on Israeli settlements leaving scattered wreckage everywhere. ED OKUN 2014 . Picture Window theme. Powered by Blogger.